Generate Strong Secure Passwords with Ease! So you think your PC and important files are protected by your current password? Over 3/4 of internet users use simple, easy to guess passwords. Security experts say that passwords are the weakest links. Are you sure that you and your staff use strong secure passwords to protect important documents and vital information from prying eyes? 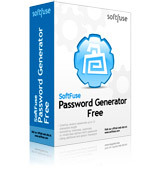 Download our password generation software for free and start to generate and use secure, difficult-to-crack passwords! 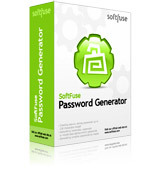 Generate secure passwords with a single mouse click! Our software is designed for those who care about their informational security both on the Internet and at work and for those who often have to create and use secure passwords in their work. Generate complex, difficult-to-crack unique passwords for your staff and youself! Protect your computer system and sensitive data with strong password!